No matter how you color it, a lie is still a lie. By now, just about everyone has heard of Spokane’s latest infamous person, Rachel Dolezal. I am surprised no one has commented on the irony of an area once known for proximity to a white supremacist compound now is known for a white person masquerading as a person of African descent. 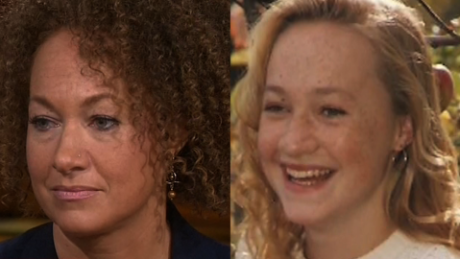 Many have made suggestions as to why Dolezal did what she did. Frankly, I am of the opinion that she saw herself as a mediocre person who wanted to be something more than what she felt she was. Maybe she decided that she could get better job offers as a black woman than a white woman. Really, it does not matter why. What matters is she used a lie to get some very desirable jobs passing herself off as a black woman, jobs that an actual person of African descent more likely deserved. Some of the things she has done pretending to be black were actually very beneficial, even praiseworthy. And that is part of the problem. Everything this woman has touched when she was trying to be something she isn’t is now going to have a big asterisk by it. A deeper problem, however, exists in some horribly inappropriate things she has done trying to properly be black. She posted an article to the Inlander in which she detailed all the things that African American mothers must tell their sons. Things like they shouldn’t be too loud in public. They shouldn’t dress certain ways. They shouldn’t hang out with certain people. The list went on. I remember being pretty offended by her diatribe for a couple of reasons. The first was her list was not really unique to black mothers. My wife and I have had nearly identical discussions with our white sons. I am sure that just about any mother tells their sons they need to be decent human beings in public. The other thing I found really distasteful is that someone supposedly working to advance the fortunes of non-whites was telling her sons a whole lot of what they couldn’t do without giving them any things they could do. Basically, she took her white preconceptions and projected them on to her adopted black children. I grew up reading about great people like Jackie Robinson. He did not become great by meekly sitting on the sidelines. Dr. Martin Luther King, jr. did not change the world by keeping his head down and letting society dictate to him. George Washington Carver did not bring agriculture into the modern age by believing he was less than other men. And Russel Wilson did not win a Super Bowl and appear the very next year in another because he listened to his detractors who said he couldn’t do what he did. These people have inspired me at various times in my life, even though I am not black. Because it was not their skin that impressed me, it was what was in their heart and their character. Rachel Dolezal has done the opposite. Rather than focus on her character and making that something that people would admire, she hid behind a facade of an oppressed black female that never existed. She has not just damaged her integrity, she has put a negative stamp on the very cause she claimed to be helping. If she had just fought for what she thought was right as herself, without the fake hair and face paint, she would have garnered respect for herself and the causes she chose. Now, thanks to her, our region is a national joke. Thanks Shane, you bring a balanced view to this story that has reached us here in South Africa.